The bustling town of Woodstock located in the Oxfordshire part of the Cotswolds has many attractive buildings most of which display the elegance of the Georgian period. The town has many popular inns, hotels, bed and breakfasts and other types of lodgings not to mention the selection of tea and retail shops. The magnificent Blenheim Palace is a short walk away and attracts tourists from far and wide. The ivy-clad Bear Hotel at Woodstock has to be one of the most interesting hotels in the UK. Once a 13th century coaching inn, this romantic Oxfordshire hotel successfully combines original features with modern comforts. Host your next business meeting in the stylishly converted old glove factory. Experience traditional English hospitality under the oak beams of the award-winning hotel restaurant, sip a drink by the open fire or simply enjoy the attractions of picturesque Woodstock before retiring to an individually styled luxurious bedroom. 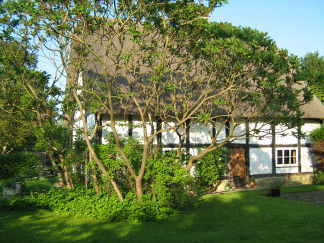 Tudor Cottage, Sutton, Stanton Harcourt, a gorgeous 17th century, thatched, timber framed. Grade II listed building welcomes you for Bed and Breakfast. Cool in summer, cosy in winter. Within easy reach of Oxford (8 miles), Woodstock (7 miles) and Witney (5miles) we are ideally situated for the tourist or business traveller. We can offer you extremely comfortable accommodation, king size antique brass bed with en suite shower room. Egyptian cotton bedding envelopes feather and down mattress topper and duvet providing sumptuous comfort. And for those who would not be comfortable without it—wireless Internet! Driveway parking. There is a large landing with sitting/working area outside the room where tea and coffee making facilities are provided. There are two further comfortable attic bedrooms with double beds but best suited for single occupancy, available to suit family/party member. serves delicious food for lunch or an evening meal. Radio alarm clock and small TV with Freeview in bedroom. Tea and Coffee making facilities provided. A washing machine and tumble-dryer are available for use by guests if required. A small charge may be made. Iron and ironing board available. Arrival generally after 5pm and departure by 11am but flexible on times to suit you. Please note we do not have facilities for accepting credit or debit cards so payment by cash or cheque please - No smoking please. Favourable rates can be negotiated for stays of more than two nights, regular visits and for room and self-service continental breakfast during weekdays - a more relaxed ‘home from home’ option for the business traveller. Please ask. For example single traveller, mid week for 3 nights with continental breakfast £50 per night. 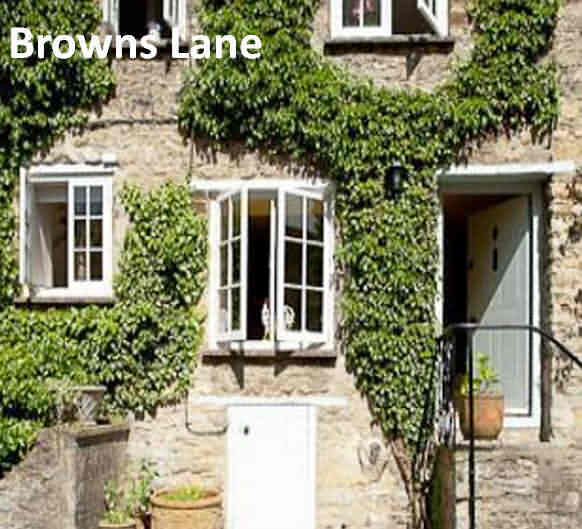 Situated in central Woodstock, this charming 17th-century building is 8 miles north of Oxford. Its downstairs eatery, where breakfast is served, overlooks the market square, and the 6 en suite rooms all benefit from free WiFi internet. 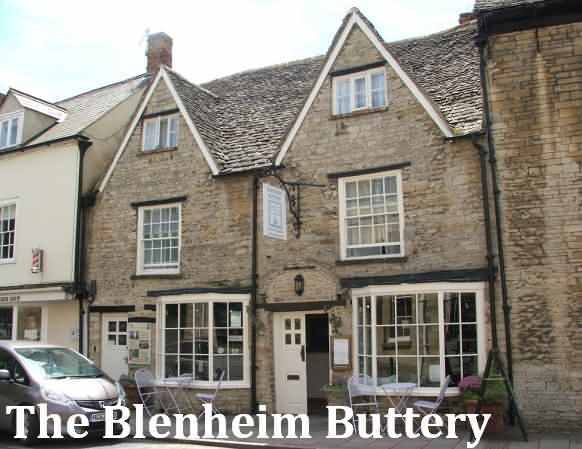 The 4-star Blenheim Buttery has a courtyard garden where guests can sit outside in warmer weather. Guests are welcome to eat in the traditional tea room, where the regularly changing menu features freshly prepared seasonal food. Rooms retain quaint features like old wooden beams, and all benefit from tea and coffee making facilities. Each also has its own bathroom with a hairdryer. In Woodstock, guests can visit the splendid Blenheim Palace, the birthplace of Sir Winston Churchill. 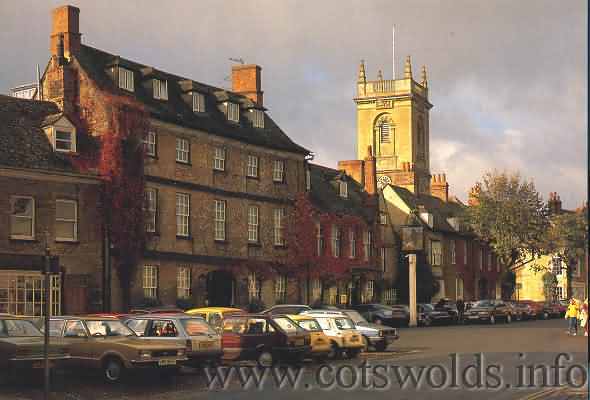 London is around 60 miles away, and you can reach the centre of Oxford in 20 minutes’ drive, whilst staying in the Oxfordshire Cotswolds. This property also has one of the best-rated locations in Woodstock! Guests are happier about it compared to other properties in the area.